Top Rated Statistics Tutors in New York City! Welcome to New York’s top-rated private statistics in-home tutoring service! 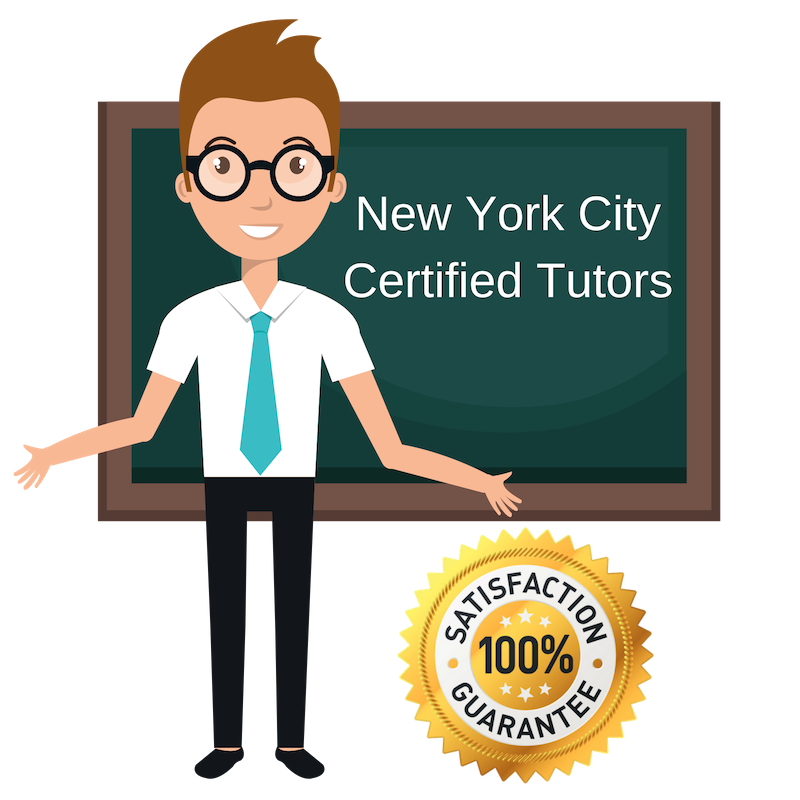 All of the following New York statistics tutors are certified by Varsity Tutors, the leading tutoring agency in the country! All New York statistics tutors have been background checked, been interviewed, had mock statistics tutoring sessions, and been trained by professionals. We guarantee you will love your local New York statistics tutor or your money back! Get information regarding a top-rated statistics tutor today! I am a private tutor working in New York City, NY and available for a variety of subjects ranging from statistics to the English language arts. I am very passionate about working with students, inspiring interest in new subjects, and getting people to think creatively. Previously, I have tutoring experience working with high school students at different locations throughout NYC, teaching 8th and 9th grade mathematics, and even working as a teacher for TASC exam preparation. I have also spent time teaching abroad in Quito, Ecuador. I am currently completing my MFA at Columbia University and seek to continue helping peers and younger minds alike in exploring new subjects and embracing education. I am a graduate of Brown University currently living and working in New York City, NY. Right now, I am studying for the LSAT and working as a private tutor. I am available for tutoring in a number of subjects, including statistics, writing, and standardized tests in general. I studied political science and my experiences with debate and argument have shaped me tutoring techniques. I believe one of the most efficient ways to helping a student excel academically is to identify areas of difficulty or confusion from the start and simplify them so that the main ideas of those concepts or questions can be more easily identified and explored. I am interested in politics/law/government. My hobbies are reading, the outdoors and billiards. I am a curious-minded private tutor living, studying, and working in New York City, NY. I am currently enrolled at Columbia University where I am exploring several different possible paths of study. In my spare time, I enjoy working as a tutor in statistics and standardized test preparation. Previously, I worked as a tutor for the SATs, SAT Subject Tests, and various AP examinations. I have additional peer tutoring experience from high school, during which time I worked as a peer tutor with my high school’s National Honors Society. I find tutoring and mentoring very rewarding regardless of the subject or student population and look forward to tutoring during my time in New York. Having just graduated from New York University, I am now living and working in New York City, NY in the East Village. At NYU, I studied psychology and acting, and can say that my experience studying both the sciences and the arts has equipped me with a very well-balanced skillset including a critical thinking mindset and a creative and inventive approach to problem-solving. Since I have experience studying both concrete and abstract concepts, I find it easy to connect with students that I am working with about where they are struggling, what they understand, and what they want to change. I have taught children ages 3-17 for the past few years, but am comfortable and willing to work with all types of student, and am available for tutoring in statistics, psychology, and more. I am a private tutor living and studying in New York City, NY. Right now, I am an undergraduate studying psychology and chemistry on the pre-med track at New York University. I have a strong interest in the realm of science, health, and mathematics, and find that my excitement for these subjects easily spreads to my students! I work hard to break broad or complex topics into smaller components so that students can use the pieces to easily identify the troubles in their comprehension themselves. I believe when students recognize the problems themselves, they are more keen to identify areas of difficulty early on in the future, setting them up nicely for independent study further down the road! I am currently available to tutor statistics, psychology, and other topics in the STEM regime.